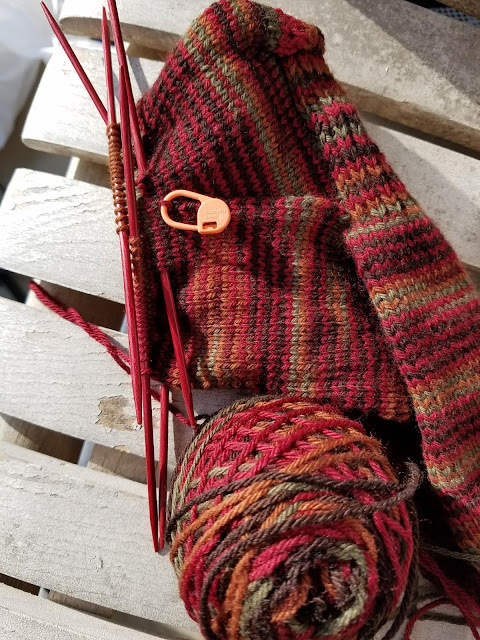 I have been working on my Veronika and today I have worked on the second sock. It was languishing and I felt the need to get something done on it. I made the children go outside today. Sometimes fresh air and exercise help your frame of mind. I have been having that issue. There is a Pandora's box of emotion and issues (mostly that deal with family, space, money and the holidays) that I try to keep a lid on, but some days the lid tries to open more than others.